The Sleeping Beauty is a favourite ballet with a multitude of characters telling the story of the enchanted sleeping Princess Aurora. Among the jewel fairies in Act III is the Gold Fairy. The lovely young dancer this costume was made for has a beautiful olive complexion and dark hair. 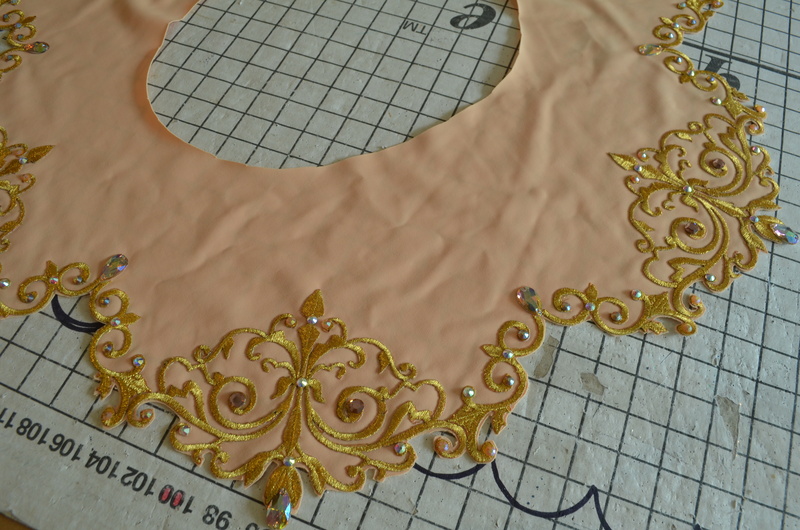 The apricot lycra she chose was a perfect palette for the gold decoration. The ivory skirt was given a lift by adding apricot net at layer three. 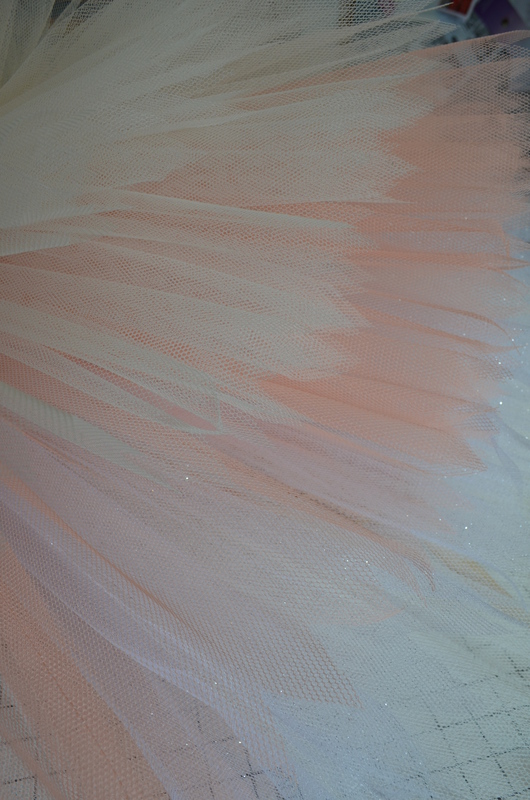 This gives a soft blush to the skirt without making the whole tutu too much of one colour. 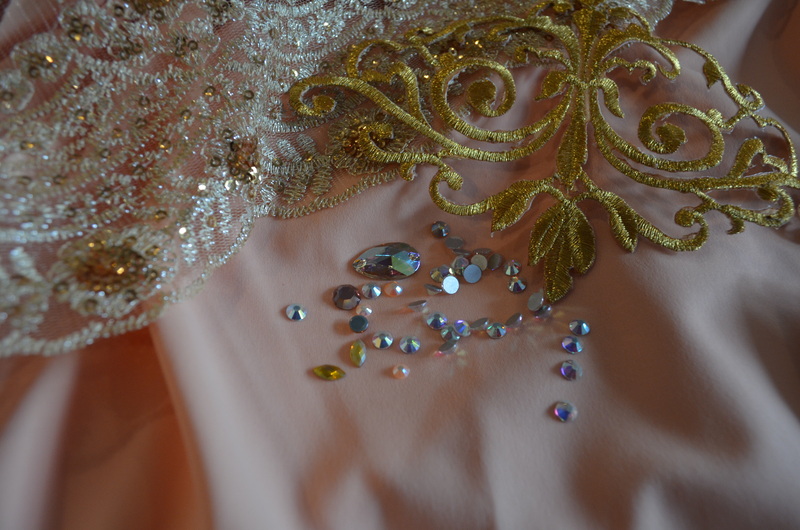 You can also see some subtle glimmer tulle at layer 2. 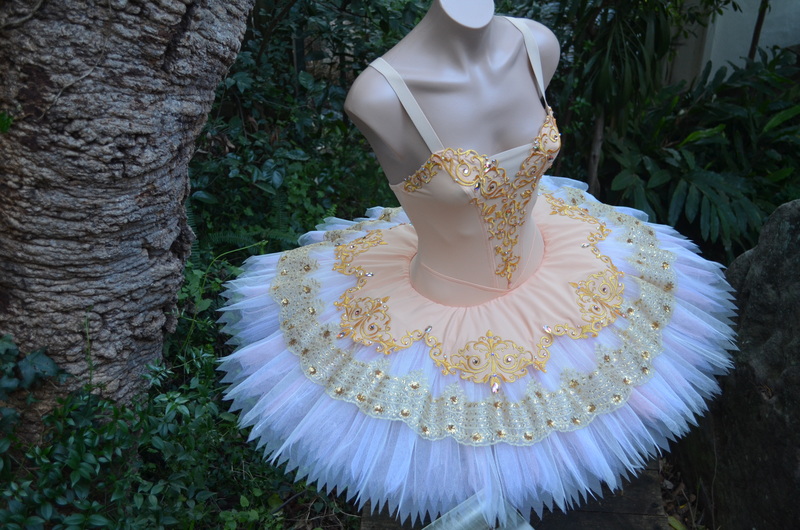 The embroidered gold appliques added the right amount of Baroque charm to the tutu. The matching plate was about 1/3 the width of the plate. This proportion of thirds is more pleasing to the eye than diving the skirt in half. Fifths also work quite nicely too. 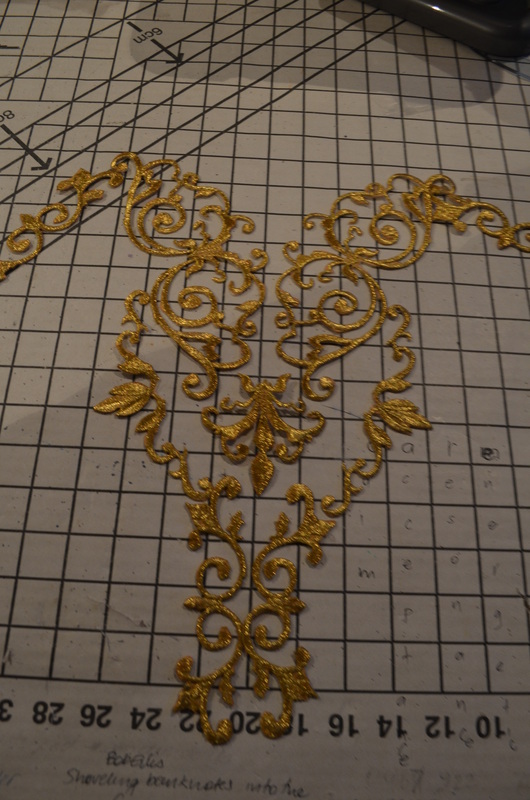 The appliques had a lovely shape which I wanted to make the most of so I trimmed the lycra as neatly and as close as I could. But remember, perfect clipping is not really necessary as this is a stage costume so the degree of perfection has 5 metres to attenuate. 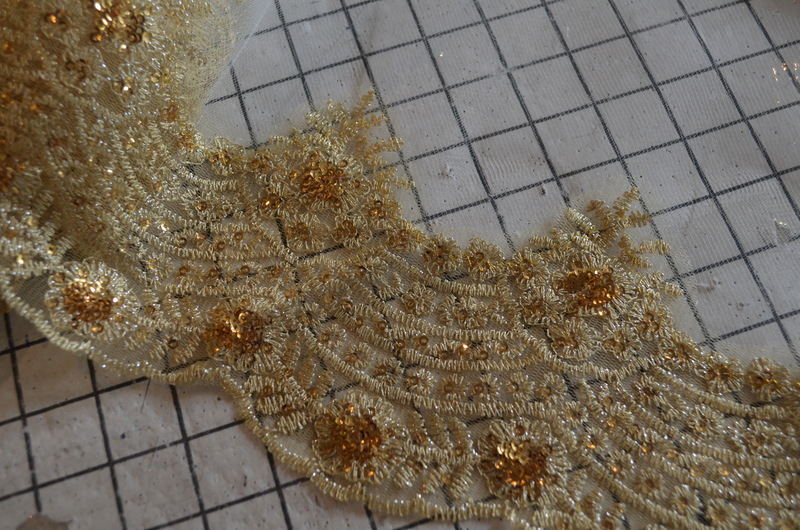 A wide band of intricate gold lace mounted on fine tulle was added as an overskirt to the plate. This made up another third of the top of the skirt. 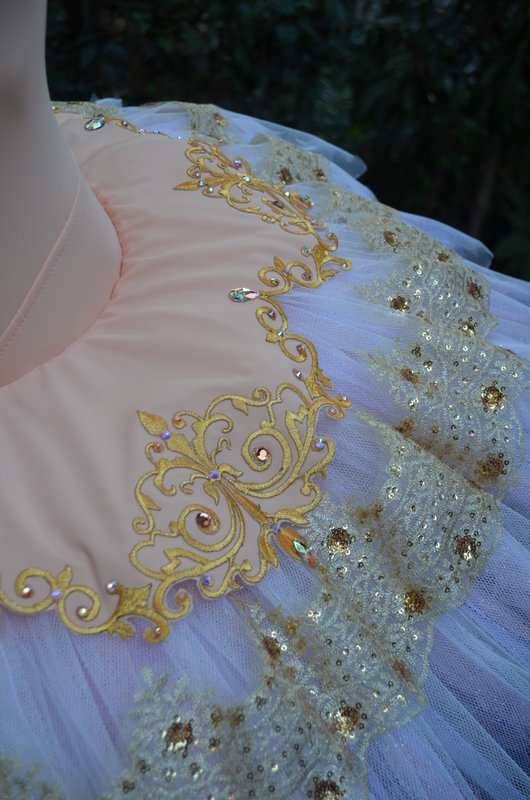 The combination of ornate appliques and lace band give the tutu a rather grand appearance. Teamed with the bodice decoration the whole effect is rather stately but still delicate.